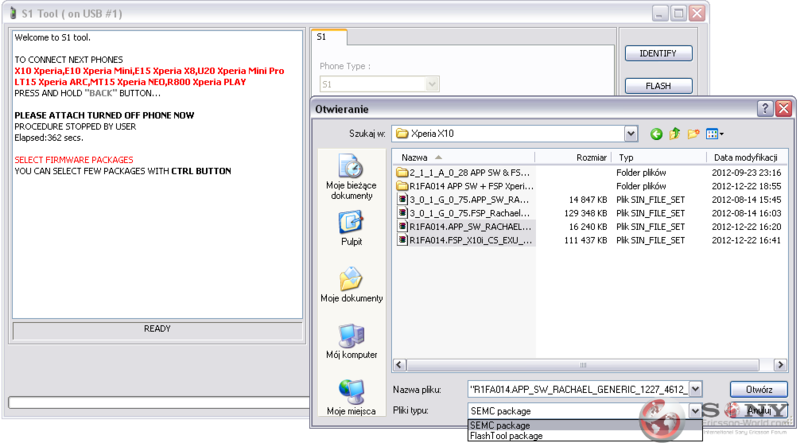 I present to you today S1Tool, another child of man named the_laser supporting all Xperia smartphones of the years 2010 to 2011 In this tutorial I will show you what such a small program can do and how to use it. QSD8250: Xperia X10i, Xperia X10a, Xperia SO-01B. MSM7227: W8 E16, Xperia X8 E15, Xperia X10, Xperia X10 mini E10, Xperia X10 mini pro U20. MSM8255: active ST17, arc LT15, arc S LT18, mini ST15, mini pro SK17, neo MT15, neo V mt11, PLAY r800, pro MK16, ray ST18, Live with Walkman WT19. 2. It is good to backup your phone's data (I reccommend My Phone Explorer). 5. Unless the program works properly set compatibility with Windows XP SP3. 3. Plug turned off phone with pressed 'back' or 'volume down' key. 4. 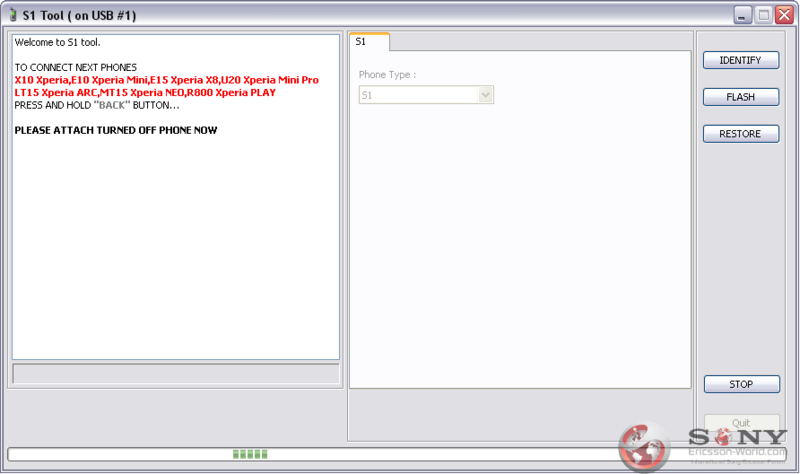 In the left window you will see various information about the phone. 3a. Choose firmware (.ftf or two files: APPSW and FSP). 3b. If you do not want to loose your data, extract and open FSP file and delete the file containing the name 'userdata'. 4. Plug turned off phone with pressed 'back' or 'volume down' key. 5. After the flashing is done you will see a message in the left window, you can unplug your phone. Warning, use only with the unlocked bootloader! 4. After a while, the bootloader will be locked.